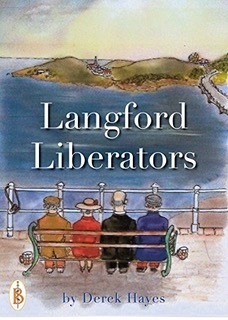 Another humorous adventure set in the nineteen fifties about life in a small village community. 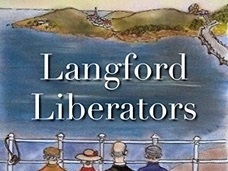 In this third novel of the Langford Follies the residents of Langford Quay have established a reputation for themselves as a community who regularly take problems in to their own hands where matters of civil injustice must be challenged. The Government under the watchful eye of the Prime Minister Mr Winston Churchill are monitoring Langford as a social experiment in ‘Localization’. 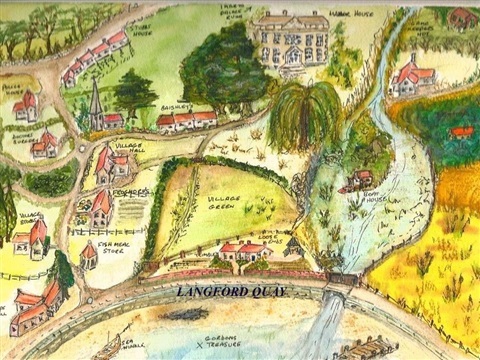 All is well until a nearby community on the Island of Helingey ask Langford for help. The Island is ruled by a self-styled Anglo-Saxon chieftain who controls the community as if it were his own personal fiefdom. Gordon Drake and his friends must remove Woden the tyrant and try to give the Islanders back their self-confidence and dignity. Every conceivable crime is practiced on Helingey including intimidation, abduction, arson, smuggling and sabotage. The Langford clan reply, playing Woden at his own game; but Gordon has to call in a lot favours to ensure success. Meanwhile Felicity Trimble is puzzled as to why locals are lining up to ask Gordon for advice on matters of the heart.